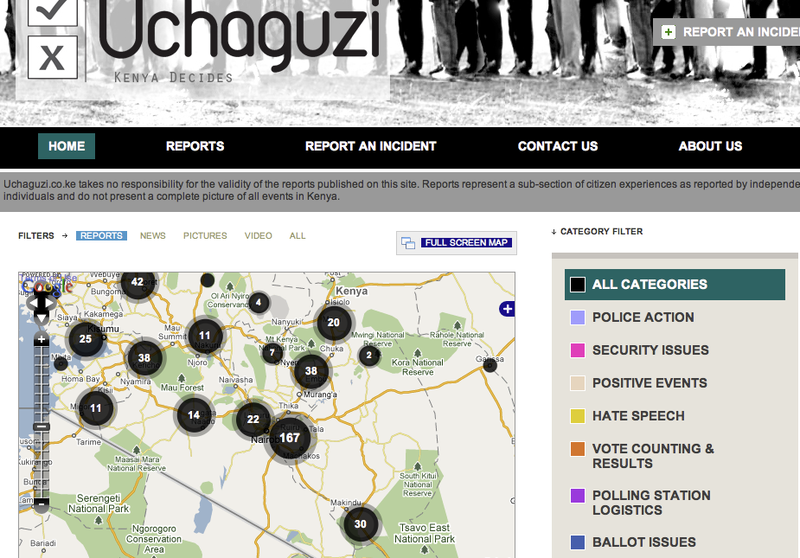 Great to see Ushahidi clones at work in the co.ke vote today. Can Nigeria be as effective in deploying social media in next year's elections? What is going on in Kenya is a referendum to amend the constitution. Which is somewhat different from an election, but nevertheless has far reaching consequences for that country. 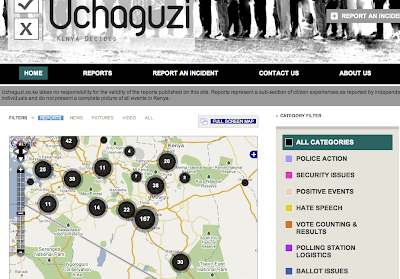 All these aids like Ushahidi clones etc, are all well and good. In fact it is good to see home grown initiatives. Knowing Nigeria, they would have paid foreigners buckets to produce a similar product whilst overlooking the talent that lies on their doorstep. Point is, there has to be a major consensus that the electoral process will be respected, by all the participants and they intend to abide by the outcome. Judging from what almost happened to Kenya with the last elections. The result of these high tech monitoring devices with respect to the next elections remains to be seen. Nigeria's politicians talk a fine talk, but they don't walk the walk. They say one thing and do something else entirely. Until all those involved in the "democratic process", are sincere in abiding to what they have agreed to, and there is an independent and respected body to enforce the outcome. Tools like Ushahidi and any other smart tools, won't make the blindest bit of difference (intimidation and bribery will erase the facts that the tools have recorded). We have to address the basics first, like fair play, ignoring that is simply a shear waste of time.